Human beings can spot a sick person, on a photo, a mere two hours after he or she was infected by a germ, researchers said Wednesday. Such an ability to detect infection early, and from the subtlest of facial clues, has never been demonstrated before, but is presumed to be part of a crucial survival skill called "disease avoidance", they wrote. 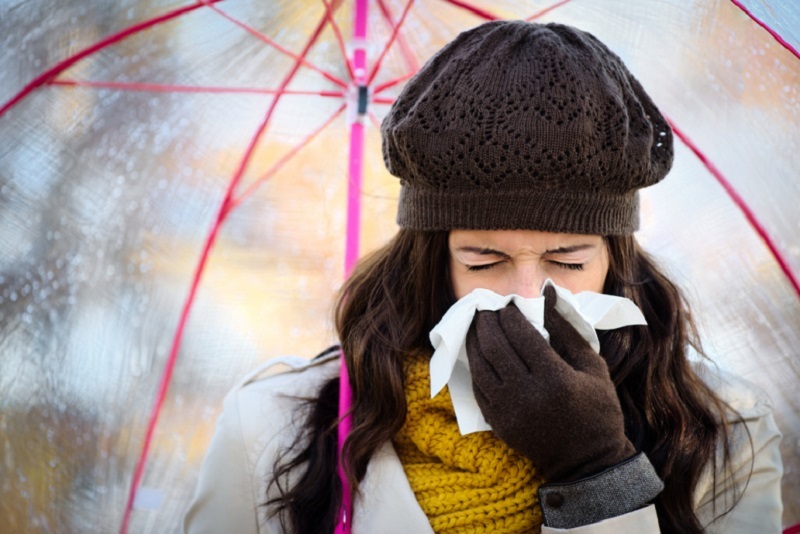 "An ability to detect sick people would allow people to avoid being close to sick people, and hence minimise the risk of becoming sick if the person is a carrier of contagious disease," study co-author John Axelsson of Stockholm University told AFP. The research team experimented with 16 healthy volunteers, all Caucasian. Each was given a shot of lipopolysaccharides (LPS) -- molecules taken from bacteria. The LPS molecules are sterile, meaning that no live bacteria is injected. But they cause a strong immune response and flu-like symptoms that lasts a few hours -- mimicking someone who is "acutely sick" and fighting off infection. It is a method commonly used to cause infections in humans and people for experimentation purposes. On a second occasion, each participant received a placebo or "dummy" injection. The volunteers had their photo taken about two hours after each shot -- thus once in a healthy state after receiving the placebo, and once "sick". After the LPS shot, some of the participants "felt very sick and others did not feel much sick at all" when their photo was taken, Axelsson explained. This was at a rate higher than predicted by pure chance alone. Previous research had used photos of "obviously sick people" to induce disgust, anxiety and even an immune response in people, but the participants in the latest study were photographed with neutral expressions and very shortly after infection. There was thus no sneezing, coughing or other overt symptoms of sickness on display. The results suggested that "humans have the ability to detect signs of illness in an early phase after exposure to infectious stimuli," the study authors concluded. Sick individuals were rated by observers as having paler lips and skin, a more swollen face, droopier mouth corners and eyelids, redder eyes, and duller, patchier skin. The finding could "help medical doctors and computer software to better detect sick people," said Axelsson -- a potentially valuable diagnostic tool in a disease outbreak. Further study is needed to determine whether levels of infection detection are similar across diseases and ethnic groups.